In the past couple two centuries, countless people have left their motherland Germany and moved to other parts of Europe, travelling by ship from the Bremerhaven harbor. Several people have emigrated to America in a hope for a better future and lifestyle. 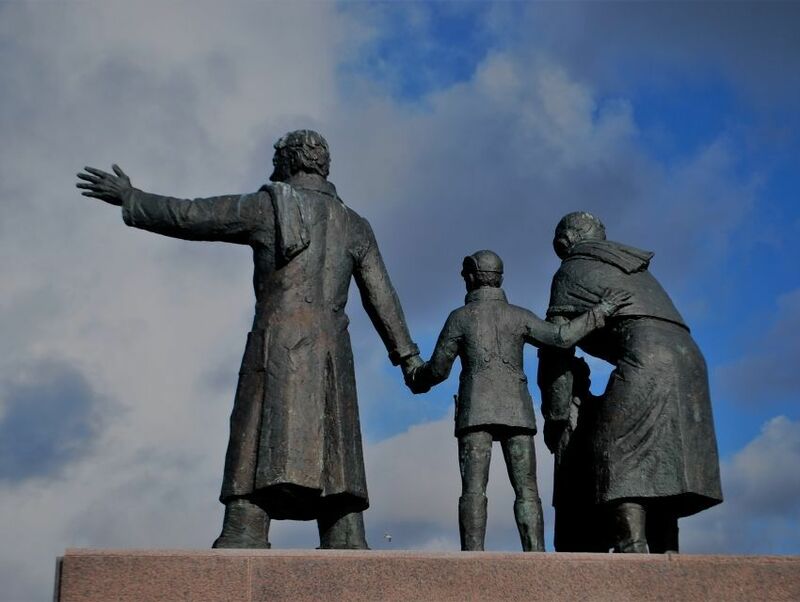 Auswandererdenkmal celebrates all these emigrants and the monument itself portrays a father looking ahead to move to New World while the mother looks back even as she bids goodbye to her homeland. Bremerhaven proved to be the ideal site for Auswandererdenkmal since it was Germany's biggest port used for emigration. Between the years 1830 and 1974, nearly 7.2 million people from Europe arrived at Bremerhaven to board vessels to New World.